A Dartmoor valley, beside a small stream in autumn. 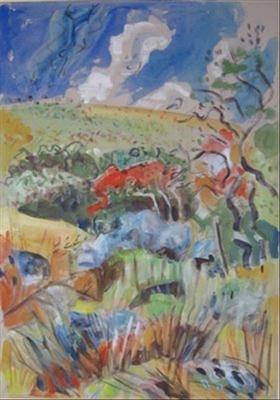 A view of a Dartmoor valley, a footpath winding along a small brook or stream, through bracken and heather and small trees, with rowan [the mountain ash] bright with red berries. White clouds scurrying across a windy but deep blue sky.